We’re continuously adding to our FAQ page. Let us know if you have additional questions and we can include it here. You can can be very creative with where to stick the decals. Some ideas are: insulated tumblers, gift and giveaways, mobile phone, laptop, tablets, car windows, vehicles, office or home walls, glass windows, mirrors, ceramics, tupperwares, and so much more! However, we don’t recommend the decals be stuck on paper, cloth or textured surfaces or soft surfaces that wrinkle. Yes. We can work with you to produce your branded decal sticker. You also have the option to package the sticker on our packaging insert (plastic & paper insert). 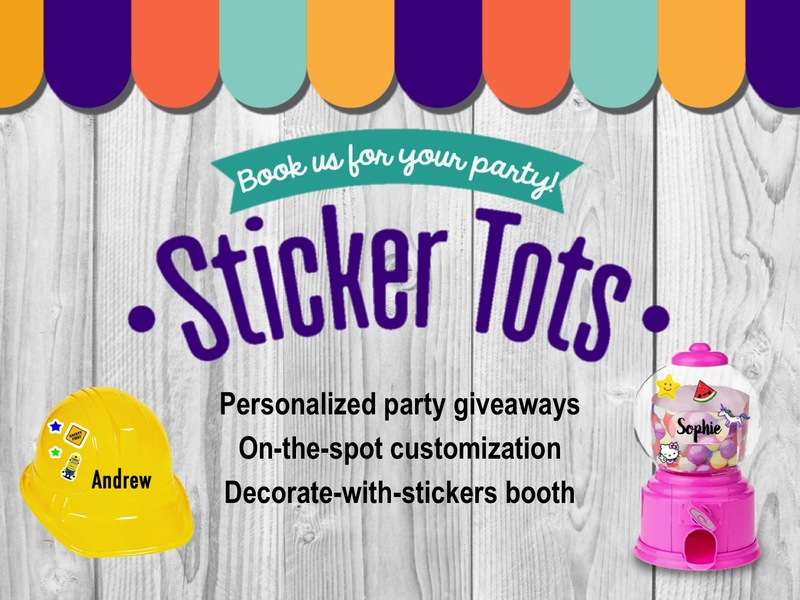 I want to personalize giveaways for my party/event, how do I do this? Do you have chalkboard decals? Yes we do. Chalkboard decals are great to stick on office/home walls, or kitchen refrigerators). You can also customize the chalkboard decal in however design you want. We recommend using chalkboard markers or chalkboard crayons that don’t leave powdery residues. Ask us to add a pack of chalkboard crayons to your order. Are your decals re-useable? Removable? Will they damage my wall? No, they’re not re-useable. But they are removable when you no longer want it or need it. Since not all walls or wall paint are the same, special care must be taken to prevent paint from being pulled off the wall during removal. How do I know my wall is suitable for decals? Ensure wall paint has dried at least 2 weeks prior to decal installation. For best and long-lasting results, wall surface must be smooth and clean. The less porous the surface, the better. Bumpy and rough textured walls will create air pockets behind your decal which might not allow it to stick properly. Are the decals safe to stick? Easy to peel? We recommend to stick the decals on a smooth surface. The decals hardly leave any sticky residue compared to other stickers. They are especially safe for iPhones and Macbooks. But if you do encounter sticky residue, you can use the sticky part of the removed decal to lift the remaining bits, and wipe clean with cloth.